One of five fireplaces done for the private house of a well known interior designer, this black marble surround was in need of a facelift. 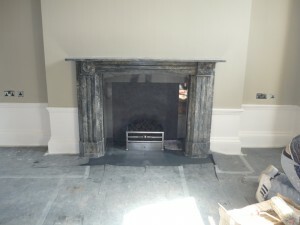 The Grade 2 listed building restricted the removal of the existing black marble surround. 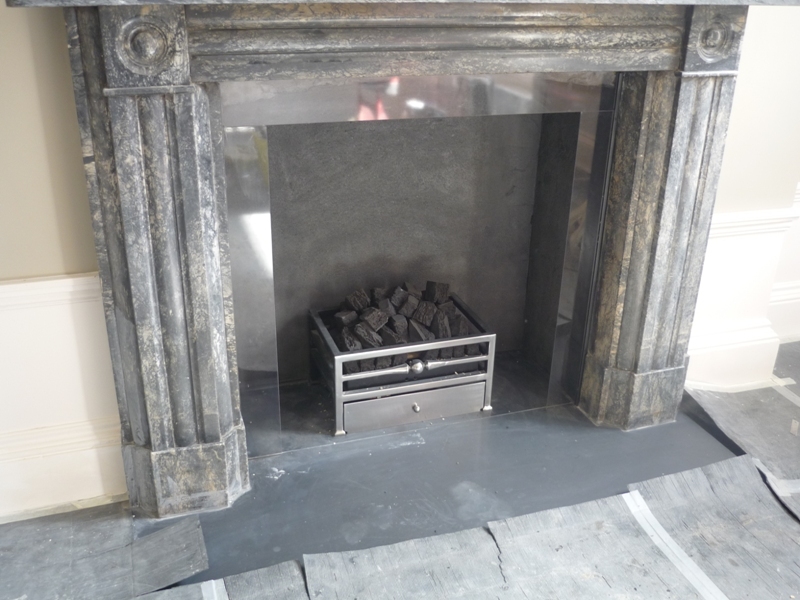 Therefore we installed a new honed black slate hearth with slips and a fire basket to give it a contemporary refurbishment. The client wanted to retain as much of the opening as possible but without losing any of the draw. For this purpose, he asked for glass slips to give the feeling of space and openness. The gas fire installed was a remote controlled coal fire in the 18″ polished Byron basket from Chesney’s. For more information and advice on fireplace facelifts, contact The Billington Partnership.